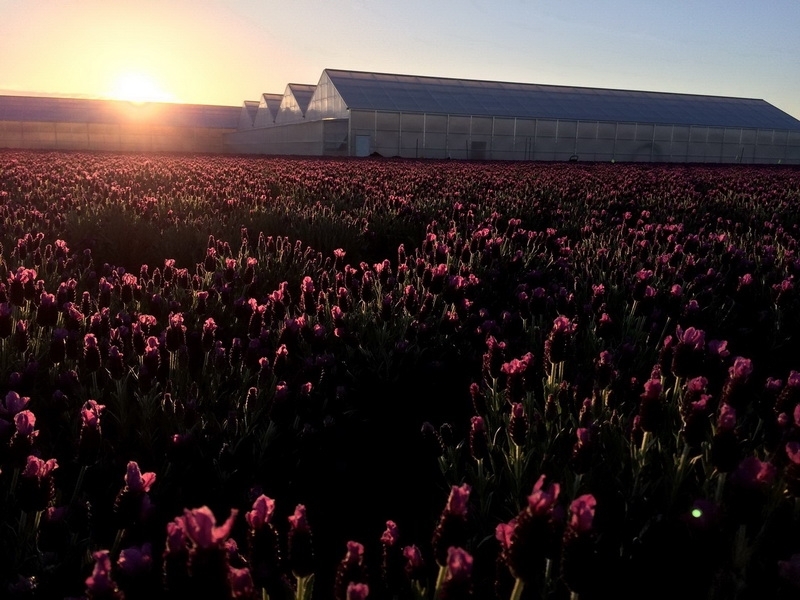 The story of growth at Burchell Nursery is astounding and takes place in both Fowler and Oakdale, CA. Since its inception in 1942, the operation has grown from 10,000 trees annually to over 3 million; 1.5 acres to more than 1,000; and from 5,000 square feet of greenhouse space to more than 130,000. This third-generation company is literally growing in front of our eyes and now their current project is taking them to a whole new level. It all began in 1942 with “one man, a small patch of land and a very big belief”, according to the nursery’s website. The man was Irvin Burchell, who started with an acre and a half acre of good Central Valley land on the outskirts of Modesto, CA. With a B.S. 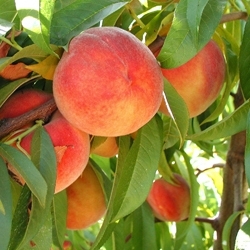 from UC Berkeley in Pomology (the science and culture of fruits) Burchell began growing peach trees. Today, Burchell Nursery grows more than 300 varieties of almond, apricot, cherry, nectarine, peach, plum, prune, and walnut trees. The nursery has also patented more than 80 of these varieties over the past 75 years and also grows pomegranate, citrus and olive trees, plus a few ornamental varieties as well. In 1970, Irvin’s son Bill Burchell took over the nursery’s reins and oversaw explosive growth, including the addition of 700 acres in Oakdale, CA; opening its Fowler branch in 1983; and its first greenhouse in 2000. In 2004, Bill handed the business over to his son, Tom Burchell. While some experts estimate only ten percent of the nation’s 2.1 million farms survive to the third generation of family ownership, Tom has seized the opportunity and helped the nursery to grow even more. His stewardship has also advanced the firm’s breeding program, which currently holds more than 44 patented varieties to its credit and more coming each year. 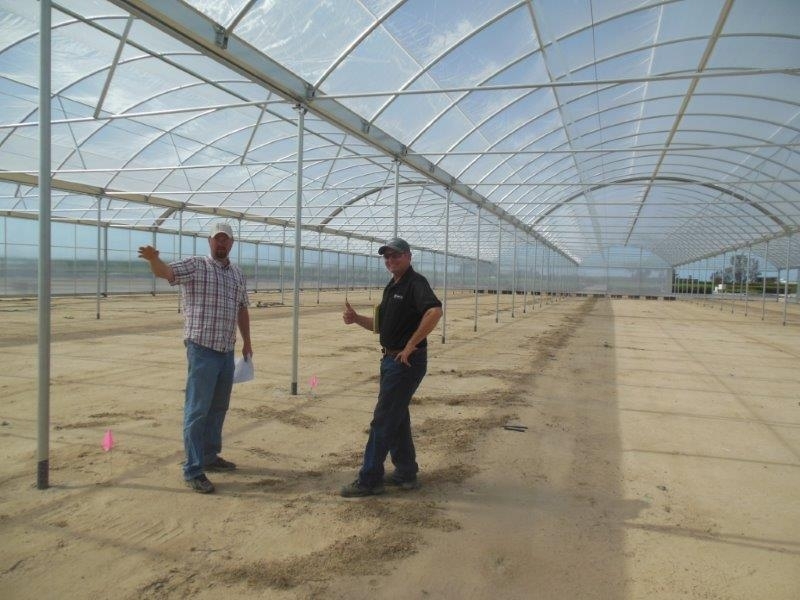 Ray Pound of Ag-Con discusses construction with the greenhouse manager in one of the screen houses. 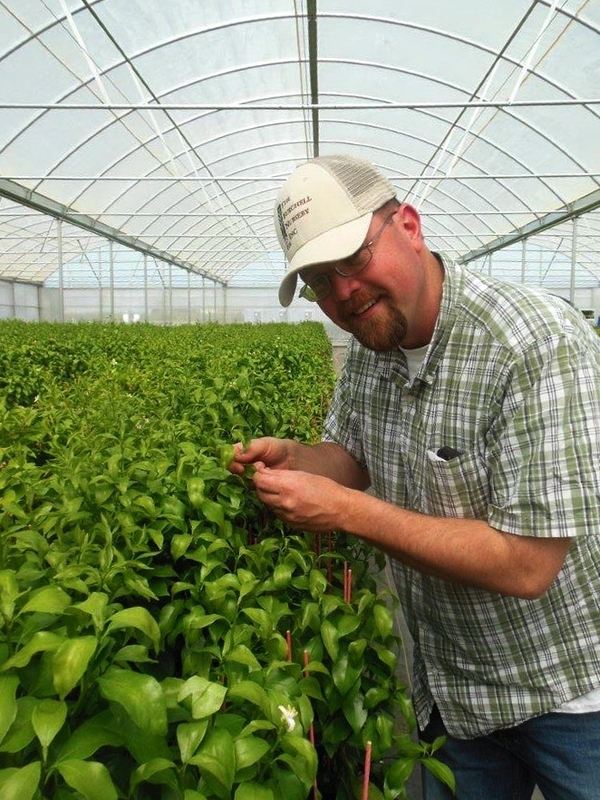 Greenhouse Manager Jeremy Bahne, 39, has been working at Burchell since 2006 and has 17 years of total experience in the industry. 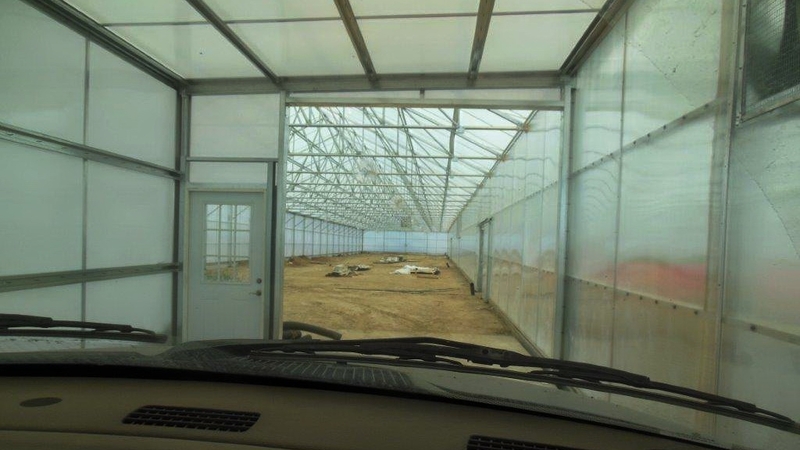 He has been leading the team as they coordinate a large, four-phase greenhouse project that includes a head house, a screen house, a greenhouse, and an additional standalone propagation greenhouse, all provided by Agra Tech of Pittsburg, CA, and built by Ag-Con of San Jose, CA. "The Burchell Nursery grows 30-inch tall citrus trees, mostly mandarin oranges, lemons and grapefruits. The other commodities they grow have different height standards, but commercial citrus growers prefer them at that size and the nursery has become very good at accommodating them", Bahne said. Phase 2 of the citrus project is a head house where Bahne’s crew can work on citrus plants without exposing them to any insects and acting as the main conduit between Burchell’s greenhouse growing area that is a little more sophisticated and with more bells and whistles. “We will be able to use this head house to move plants from our greenhouse into our screen house to harden them without worrying about exposure to the Asian Citrus Psyllid,” Bahne said. The second project is a propagation house, which is a 1/2 acre structure where Burchell will propagate things like rootstocks and other products that they sell such as vegetative cuttings and tissue culture of rootstocks that are used for almond and peach production and other fruit and nut trees for retail garden centers. A drive-through breezeway from screen house to the Solar Light headhouse area without allowing insects in.